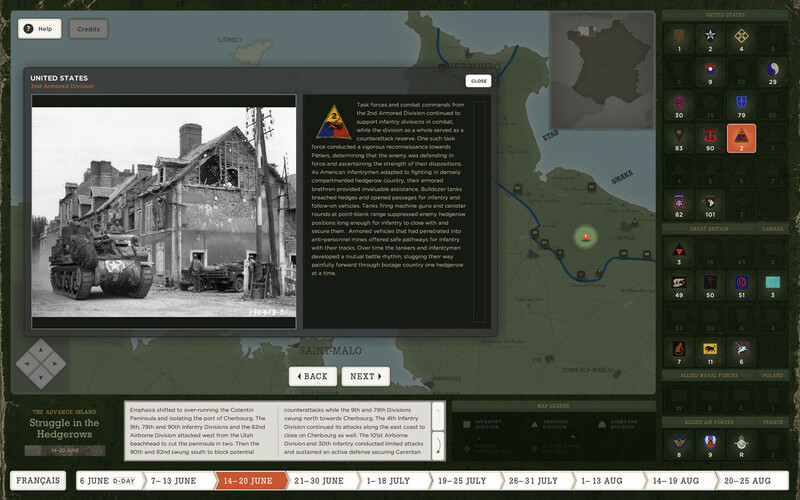 Map interface highlighting a key event. Exploring a detail overlay for a selected unit. Browsing units on the map. Integrated Help Mode to help users understand the interactive. 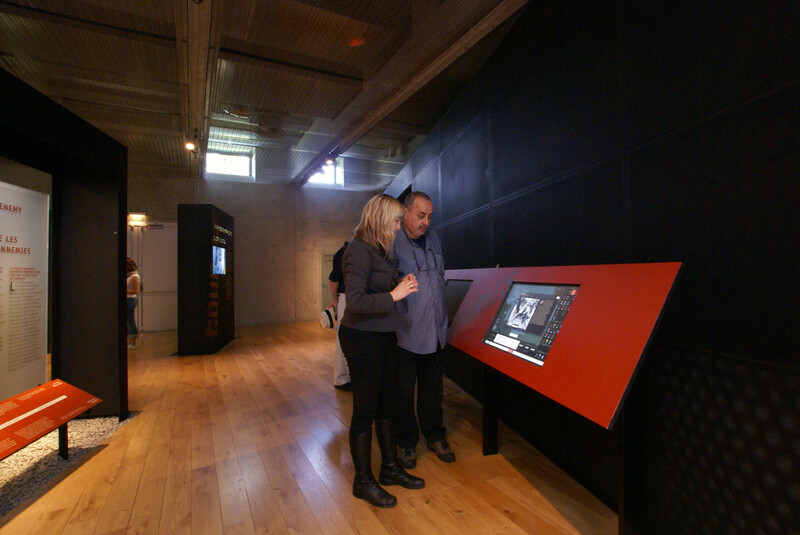 Visitors in the gallery using the kiosk. 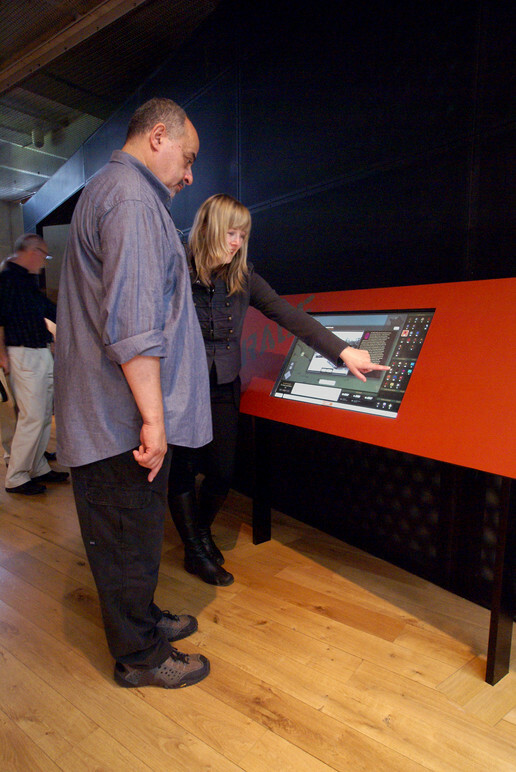 Visitors using the kiosk inside the gallery. 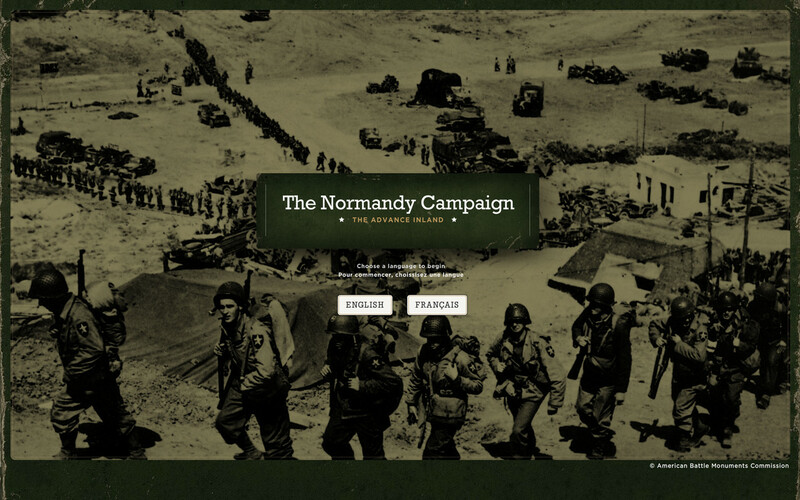 The Normandy Campaign interactive kiosk is an important component of the Normandy Visitor Center in Colleville-sur-Mer, France. 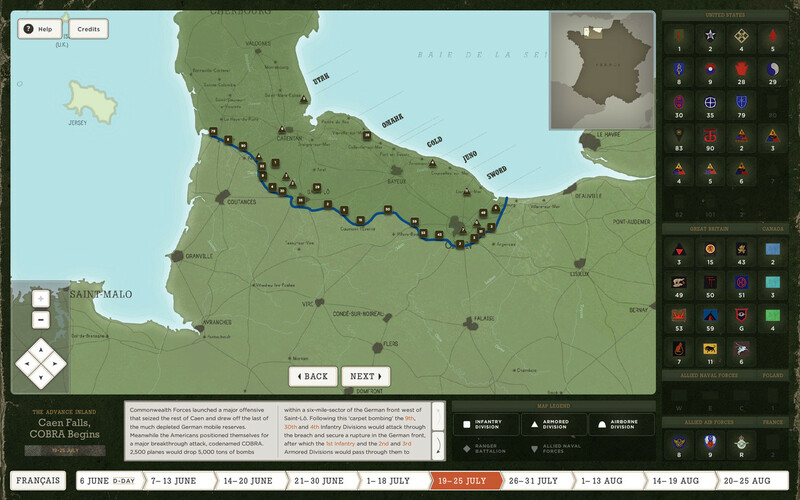 This project was produced in partnership with Dog Green Productions for the American Battle Monuments Commission. 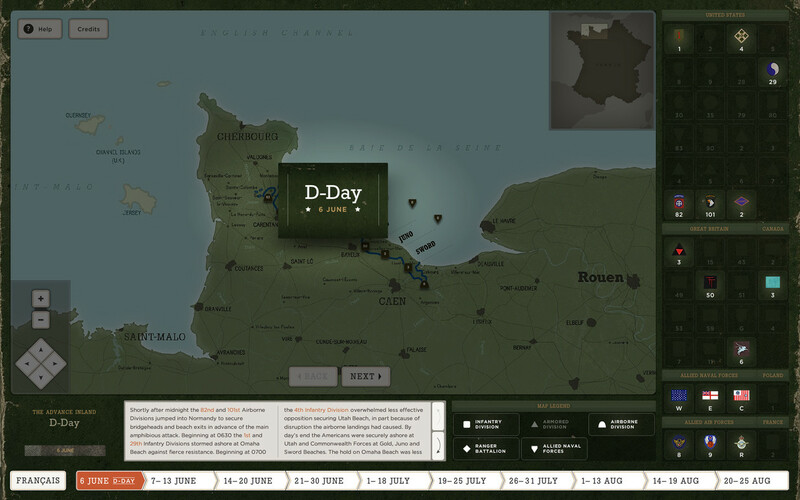 This map-based, interactive experience helps users to better understand the advancing movement of troups and about the military units who were present at D-Day and subsequent events. 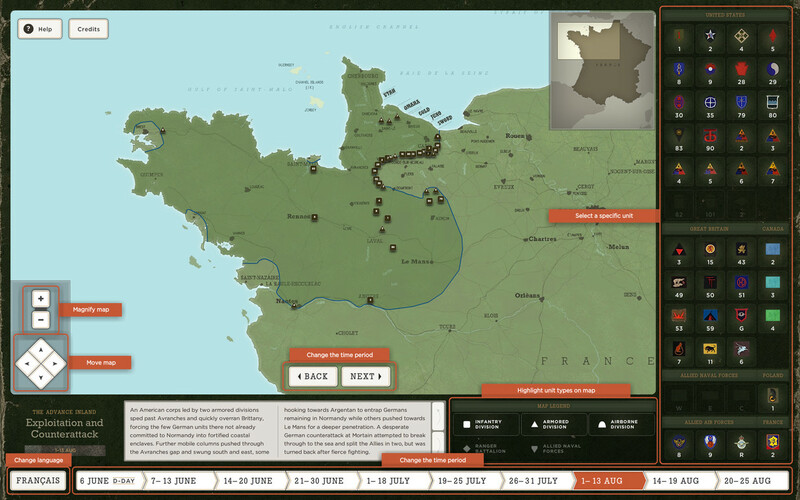 Videos, stills, animation, and a zoomable map come together to make this experience feel very hands-on, giving the user ultimate control over how the information is disseminated. 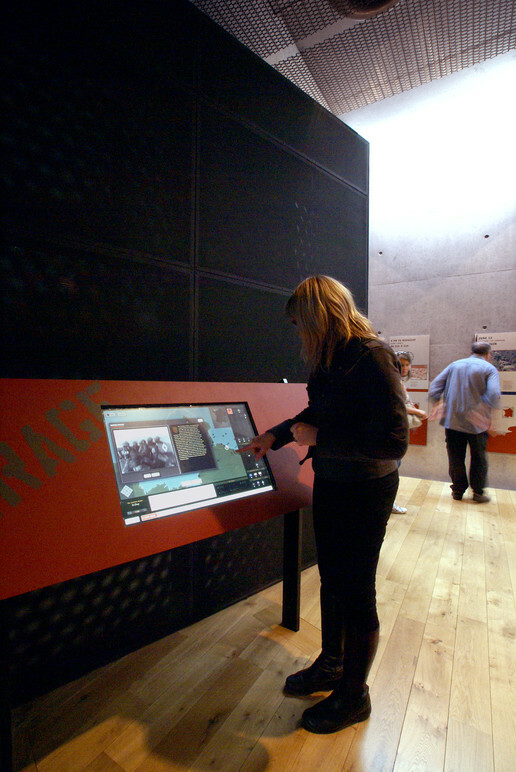 The collapsible interface helps users visualize the time-based story and movement of battlements. Belle & Wissell also developed a style system and programming framework for ongoing ABMC projects.